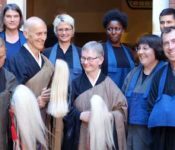 On June 18, Still Breathing Zen Meditation Center′s first jukai ceremony took place at the Berkeley Zen Center. 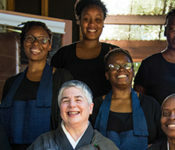 Zenju Earthlyn Manuel, guiding teacher, was the preceptor with the assistance of Shosan Victoria Austin of San Francisco Zen Center and Chimyo Atkinson of Great Tree Zen Center in NC. 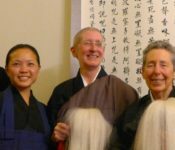 Congratulations to Margaret Benson-Thompson, Andrea Henderson, and Unique Holland. 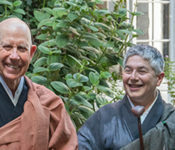 On Saturday, April 29, eight people received the precepts in a Lay Initiation Ceremony. 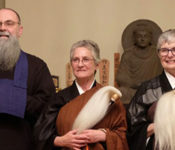 Congratulations to everyone! Photo by Florian Brody.